Three weeks before the first delegates arrived Thursday for the U.S. Conference of Mayors’ meeting on exports and ports at the Hyatt Downtown, Mayor Alvin Brown explained the purpose of the three-day event. “This meeting is about job creation and keeping our metro economies globally competitive,” Brown said. That was the agenda in the meeting room, but the event presented an opportunity that began and ended at Jacksonville International Airport. It was a chance to give the visiting dignitaries a taste of Southern hospitality. 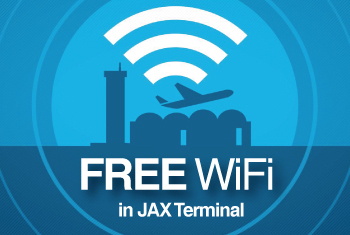 The Jacksonville Aviation Authority greeted the guests at the airport as they entered the terminal, then provided transportation to the hotel. 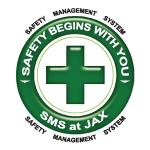 When they are escorted back to JIA, the travelers will receive expedited security prior to their return flights. At the Hyatt, each visiting mayor was welcomed at the door by senior management staff and escorted to the room. At a private reception Thursday evening, the Hyatt’s culinary staff introduced to the visitors some new creations using fresh local seafood: Florida seafood cocktail with blue crab and mango gazpacho, a Mayport shrimp bloody mary and redfish ceviche, said Hyatt Senior Director of Catering and Convention Services Melissa Milione. “Other than that, it was the same way we treat all of our guests at the Hyatt,” she said. In addition to breakfast and lunch Friday and Saturday at the Hyatt, the delegates had dinner high above Downtown Friday evening at The River Club. The schedule and itinerary was designed with the first-time visitors in mind, said Milione. “This was our opportunity to show off and show them that Jacksonville is a major city,” she said.